Well here it is, almost the end of August. What a month. So much has happened and so much of it has been wonderful. Camping in the Catskills. Kristin blogged about it here. I don't really have anything more to say about it than she already said, but it was sooo fun. I loved it. It rained. I still loved it. Camping in the East is very different than camping in the West. In the Catskills we drove directly to our campsite and walked about 20 yards over to the very clean restroom to wash our faces for the night. In the West, it is freezing at night, hot during the day, and are most times required to schlep your gear about 10 miles up a mountain before laying on the cold, hard ground for the night. nothanks. 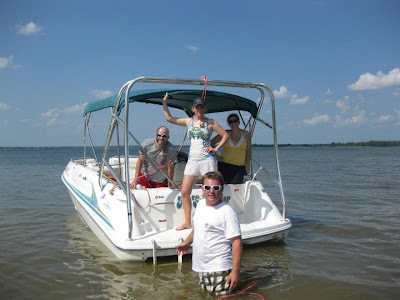 Boating on the Rappahannock River with my DC friends. That day was one of the best that I can remember so far in 2012. There were some ups and downs. Ups: Jumping off the boat into the river and singing on the boat. Downs: Alicia getting a major concussion and not remembering the day, or that I live in New York. Seriously. The upside of the downside is that Alicia acted like it was her surprise birthday party every time I walked in the room for a few hours after her accident. I now have no doubt about the way that Alicia really feels about me. And just so you don't worry, she is doing much better now and we can have real conversations again. A few days ago I went to see Shakespeare in the Park. For you Non-New Yorkers, this means that I woke up at 5:00 AM to get in line around 6:00 AM in Central Park where I waited until 1:00 PM to get 2 free tickets. 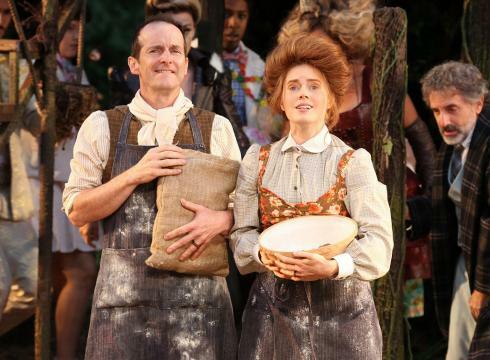 The show this month is "Into the Woods" and Amy Adams is one of the lead parts. While watching the show I thought over and over again how lucky I was to be there. ...then Karli moved. Sad bomb. 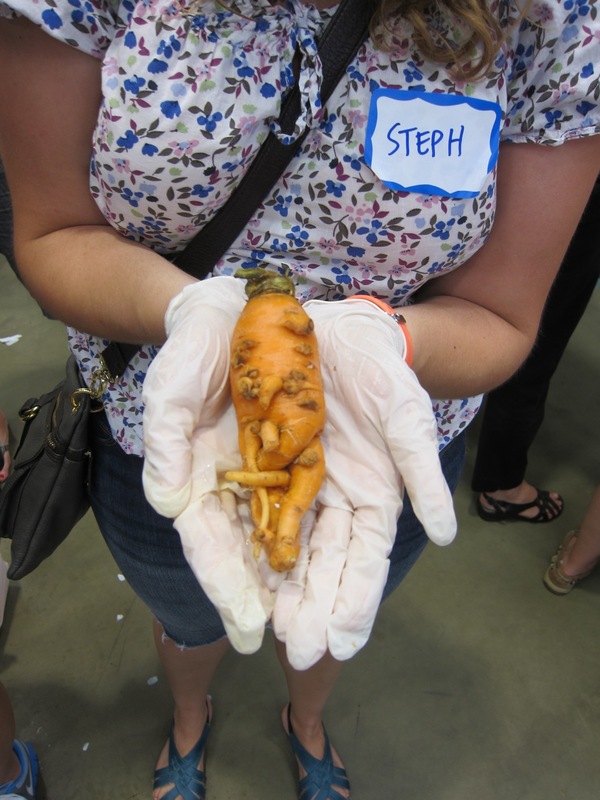 Went to a fun service project in the Bronx where I weighed carrots and then found this gem of a carrot. I named him Eugene. Brandy was in town to visit her in-laws so we met up for ice cream in Brooklyn. Sure do love seeing her. Next time I am home I need to go through our notes from high school. For. real. Also, her boys are the cutest. Amy sent me flowers last week because she is just such a great friend and she knew I was having a horrible day. I am so glad she is coming to visit me for my birthday! 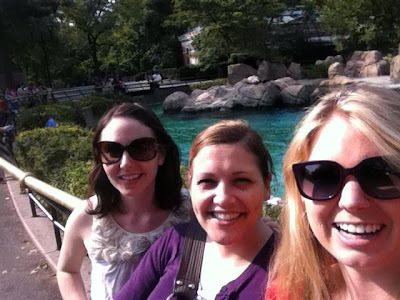 Went to the Bronx Zoo with Heather and Ashley since we are members of the Day Club. My favorite exhibits were the gorillas and the Asia monorail. I'd definitely recommend going to the zoo if you haven't been in a while. I have lots of friends who have left New York recently and who are planning on leaving soon which makes me pretty sad, but I also feel like I have no room to complain because I'm being blessed in so many ways. Watch this. It will make you happy. It will make you especially happy if you know Monica.